Kristen Hopkins has been a Realtor in Northern Virginia and Washington, D.C. for more than a decade. She prides herself on providing personal service and creating lasting relationships with her clients, built on honesty and trust. As a Northern Virginia native, Kristen grew up in McLean and has always been active in the community. She remains active and continues to give back to our area as a member of the Junior League of Washington. Kristen is an invaluable resource for anyone looking to buy or sell a home in Northern Virginia or Washington, D.C.
Kristen's real estate career began well before she became a licensed agent. She graduated from the Pennsylvania State University where she received her Bachelor’s Degree in Marketing.When she was a student she spent her summers interning for a prominent sales team at Long & Foster McLean. 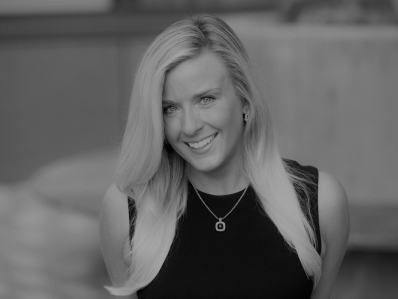 Kristen has loved the business ever since and has proven herself to bean outstanding real estate professional.In the past decade, Kristen has received such honors as being named to the Long & Foster Gold Team, as well as, the NVAR Multi-Million Dollar Sales Club, Top Producer (2017). Kristen Hopkinsrepresents buyers and sellers in all price ranges. Whether you are a first time home buyer, a homeowner outgrowing your current space or ready to downsize, you can be confident in Kristen’s expertise and commitment to excellence.